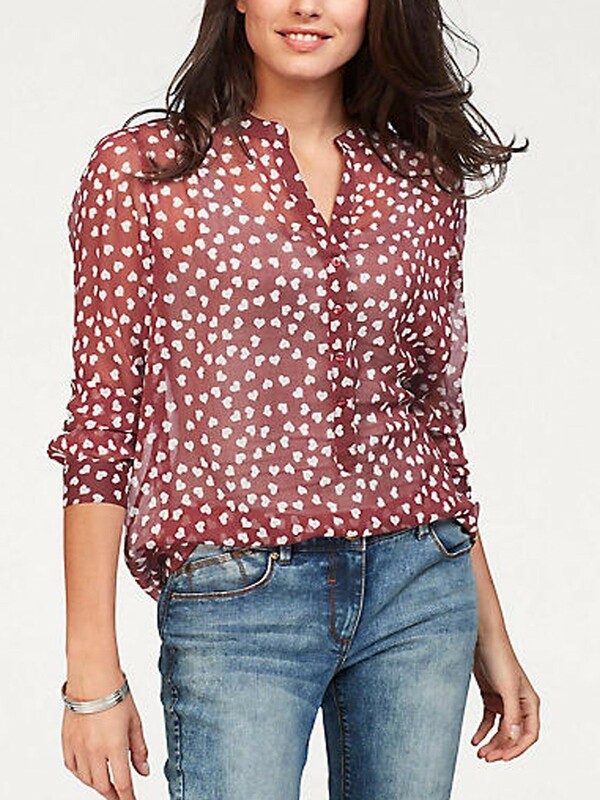 A gorgeous print blouse made from a transparent chiffon material. In a beautiful all-over heart print with short button placket. The back is cut slightly longer than the front for more rear coverage. Length 24in at front and 30in at back.